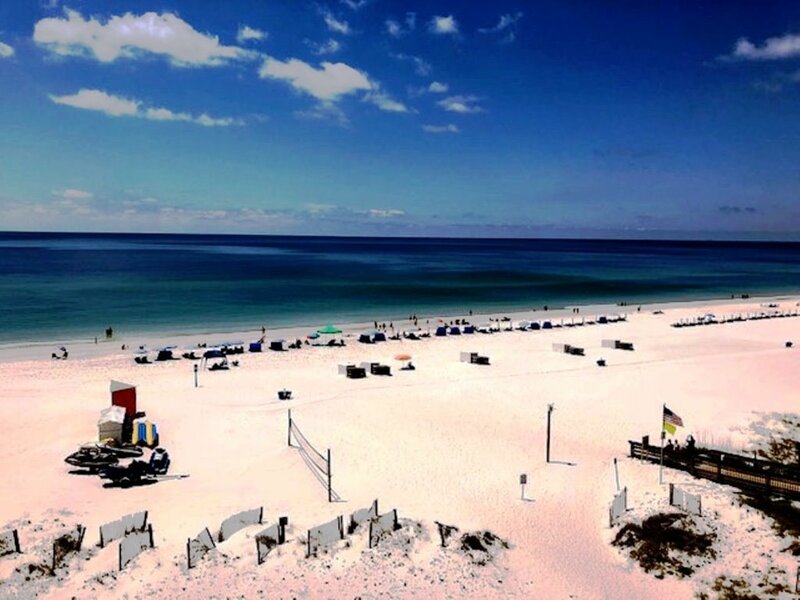 $300.00 OFF a 7 Night Stay at Gulf Shores Escape Penthouse between April 20-27th or May 9-16th! Or, receive $225 off a 5-6 night stay or $100 off a 3-4 night stay for the April 20-27 or May 9-16th dates! This immaculate and professionally decorated penthouse is located directly on the Gulf of Mexico in the heart of Gulf Shores, Alabama. Freshly painted and renovated, this spacious 1615sq. foot 3 bedroom, 3 bath penthouse design gives you and a breath taking beachfront view. You'll love the over sized 48ft private balcony and two other balcony's just waiting for you to come sit back, relax and enjoy your vacation. Just steps from the beautiful white sandy beach! Walking distance to 7 restaurants. Well equipped gym with sauna. We want your escape to Gulf Shores to be the best you have ever experienced. Call now (850-525-4469) to book Gulf Shores Escape! Please come back to VRBO after your visit and write a review. This helps other vacationers when planning their special getaways! ***** During Spring Break and Summer this unit requires a Saturday to Saturday rental! ***** During the “in-season” check in time may vary. Check in BEGINS at 4PM but due to a high volume of departures and arrivals check in may vary between 4 & 5 PM. With Seawind Unit 500 (sw3) you are allowed 3 parking passes. Unfortunately no more than 3 vehicles are allowed on property per the Seawind Home Owner’s Association. Optional Travel Insurance is available for 7% of the total through Redsky. TO INSTANT BOOK ONLINE VISIT WWW.BAMABEACHCONDO.COM. If you have questions call or email GulfShoresEscape@aol.com. 1-850-525-4469. 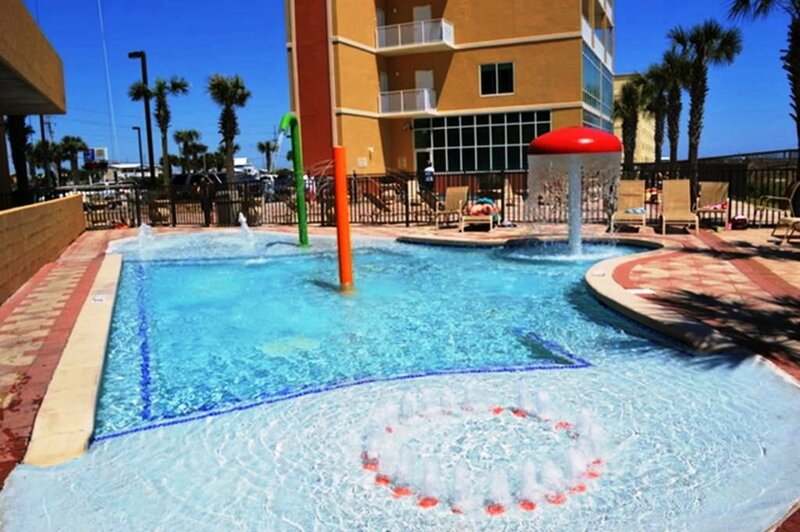 Gulf Shores Escape (Penthouse unit 500) is located at Seawind Condominiums. It occupies the entire fifth floor, 1618Sq, of the amenities building of the Seawind complex. Seawind is one of the newest condominium buildings in Gulf Shores. Call me at 850-525-4469, I'll respond within 30 minutes. Beach Front, professionally decorated, private elevator, 3 balconies. 5 Star Rated Penthouse! Seawind Condominiums is located near the Gulf State Park Pier – the longest pier in the Gulf of Mexico and only 2 blocks away from The Hangout. The Tanger Outlet Mall with over 130 stores is only a short drive away in Foley. 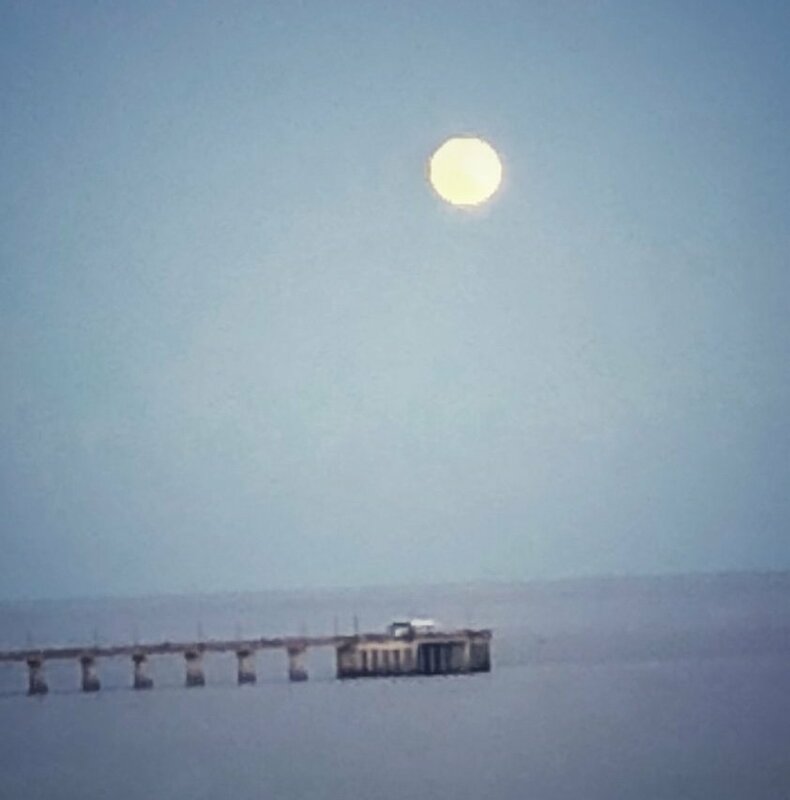 Other nearby activities include the Alabama Gulf Coast Zoo, Waterville, LuLu’s, Deep sea fishing, Dolphin cruises, Sunset dinner cruises, Bellingrath Gardens, The Wharf, Fort Morgan, Fort Gaines, Dauphin Island, Battleship USS Alabama, Battleship Park, Pensacola Naval Museum and IMAX theater. Or Watch The Moonlight From Your Private Balcony (Accessible From Both The Living Room And Master Bedroom). Fully Equipped Kitchen and Full Sized Laundry Round Out Amenities. High Speed Internet. NO SMOKING: Smoking in the condo will automatically incur an additional $500.00 cleaning fee. NO PETS: Pets are not allowed in or on the property. The presence or evidence of a pet on the property will cause forfeiture of the entire rent and immediate tenant eviction. An additional cleaning fee will be charged. CANCELLATIONS/REFUNDS: Please notify us immediately if you are unable to keep your reservation. All cancellations are subject to a $175.00 cancellation fee. Weekly or less rentals with written notice of less than sixty (60) days will cause a loss of paid rent unless the condo is re-rented for the same time period. Monthly rentals with written notice of less than ninety (90) days will cause a loss of paid rent unless the condo is re-rented for the same time period. No refunds are given for early departures. Units may not be sublet. John & Michelle Pollock are hands on owners and will reply within minutes to all inquiries. Constant communication throughout the rental process, during check-in and even touched base to see how things are going during your stay. Awesome Condo - will stay again! What a wonderful place and location. We all fell in love with Gulf, and my family raved about John’s penthouse. Spacious and outfitted with everything we needed and then some. The huge balcony offered a great view of the white sand beach and gorgeous Gulf. This is our first time to this area, but it definitely won’t be our last. John’s communication was the best I’ve experienced, and I’ve rented many places over the years. Would definitely return to Gulf Shores again, and John’s place is at the top of our list. Thanks for your hospitality! We will definitely be staying again! Thank you guys for sharing your beautiful home with us! It was located in the perfect spot with a beautiful view. So spacious, and it had everything we needed plus more. Lota of great memories were made here! You guys were so attentive to everything, and your hospitality made all the difference in our stay. We will definitely be staying again! Thanks again! Rene & Eric, we really appreciate the kind words and look forward to you staying with us again! Thanks for staying with us! We had such a great time at this location. John & Michelle were wonderful, attentive, and engaged. The condo was spacious, clean, and convenient (beach front). It had everything er needed and it is easy to access to everything. Joe, we really appreciate the kind words and look forward to you staying with us again! Thanks for staying with us! We are on our way home to heavy snow forecast! Thank you for our stay at your beautiful condo! We had a wonderful, relaxing time. It was a bit cool, but the sun was heavenly! Mac & I took a dip in the Gulf yesterday. It was brisk but refreshing! Mac & Margo glad to hear you had a great stay. Sad to hear you're driving back to snow. Thanks again for staying with us and we look forward to hosting you again in the future. The condo was better than advertised! We went during Spring Break with a four generations of family together. The condo was easily accessible by my grandmother with a walker. The deck had views that she felt like she was �on the beach�. Easy to get to everything. Worked perfectly for our vacation! Also, John and Michelle were wonderful to work with, they truly made us feel at home with all the amenities! Thank you Rebecca! Happy we could help make your "ladies getaway" special. Glad grandma had a grand time. Hope to see you and your family again next year! John and Michelle I wanted to tell you we had an awesome time and made memories that will last a lifetime. Condo was as pictured and described and so nicely laid out. Loved being beach front and never had to drive. We loved having patio furniture on balcony so we could sit and talk. The toys in the little shed where a hit my grandson. He wore those boats out. Book with absolutely no worries! We traveled with two other couples and were amazed with this condo. Everything was as advertised and just as beautiful as it was in the pictures on the website. We enjoyed the beautiful ocean front views, the short walk to the beach, and nearby attractions. Thank you John & Michelle Pollock for making this a wonderful vacation and for checking on us after we arrived. This will definitely not be our last stay!